Notes: Forms an irregular branched corridor mine associated with the midrib or from the petiole (as shown, with the larva in the mine). 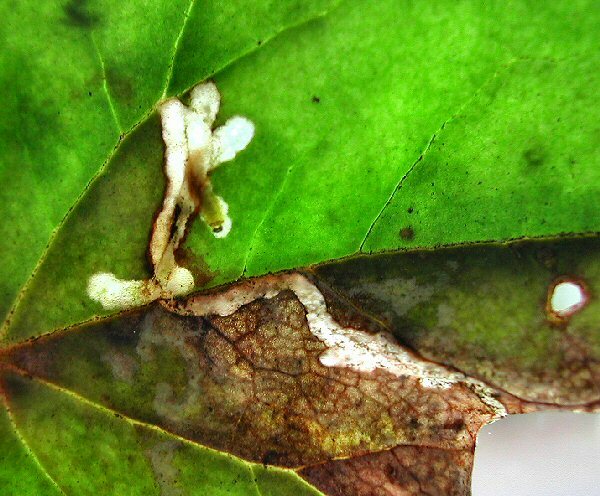 The larvae changes leaves and the mine develops into a blotch in the second leaf. Widespread but uncommon in the UK. Mine shown is on Cyclamen.